Indonesian police on Monday named the leader of an Islamist group, the hardline Islamic Defenders Front (FPI), as a suspect over allegations that he insulted the secular state ideology in the world’s biggest Muslim-majority country. Police in the province of West Java had been investigating Habib Rizieq over allegations that he made defamatory comments in 2014 about one of Indonesia’s founding fathers, Sukarno, and questioned the legitimacy of the state ideology Pancasila, reports Reuters. The complaint was brought against Rizieq in October last year by Sukarno’s daughter, Sukmawati Sukarnoputri. Based on video evidence, documents and 18 witnesses the police investigation found the case “met elements needed to name him as a suspect”, said West Java Police Spokesman Yusri Yunus. 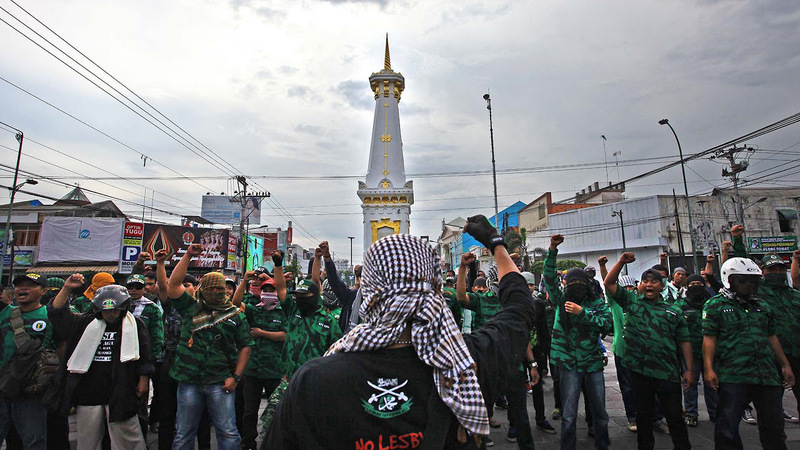 The FPI leader has denied wrongdoing and a spokesman for the group pledged to fight the case “until the last drop of our blood”. FPI spokesman Slamet Maarif said the allegations were being engineered by authorities to “silence Muslims demanding justice”. The FPI leader was a key organizer of rallies late last year by hundreds of thousands of Muslims against Jakarta’s governor, an ethnic Chinese Christian, who is on trial over accusations that he insulted the Muslim holy book, the Koran. Late last year the FPI led some of Indonesia’s biggest rallies in nearly 20 years targeting the Jakarta governor.